The late afternoon sunshine bathes the fifty-four gothic towers of the Bayon temple in a gentle warm light. The sun’s slow progressive setting casts deep shadows on the two hundred and sixteen large faces of Avalokitesharva, ” the Lord who looks down”, carved on each of the four facets of every tower. Each face serene, peaceful and representing enlightenment is a replica of the other and is said to bear a resemblance to King Jayavarman VII who commissioned and built this, his official state temple, sometime in the late twelfth or early thirteenth century. 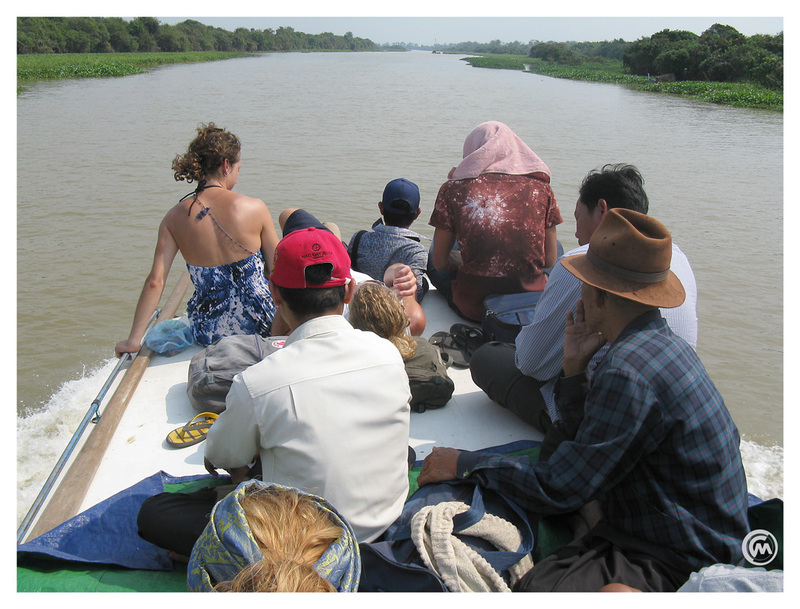 Many tourists consider it a romantic notion to travel to Siem Reap by boat from Battambang in Cambodia. Faced with the prospect of enduring a five to seven hour ferry ride from Battambang to Siem Reap, squashed into a plastic chair big enough for an infant and squeezed between forty nine other tourists or perched in a lotus position on the ferry rooftop, I chose the latter. The twenty-odd metre long ferry is at most three to four meters wide, contains a cubicle toilet and accommodates some fifty people. Designed to seat Asians significantly smaller than most westerners the ferry, when full, has a sardine-can feel to it. That many tourists consider it a romantic notion to travel to Siem Reap by boat means the ferry is both popular and over-worked. The sun, a great big red ball, clawed its way through the haze and early morning mist painting the sky a pastel shade of orange, and visually bringing warmth to the chilly early morning city of Battambang. The sun’s rays cast orange tendrils of light down the shadowy streets, bringing the city to life. Somewhere, far off, a bell rang while nearer sounds were of roller shutter doors being opened, chairs and tables being unstacked and laid out and scooters and tuk-tuk’s being throttled into life. 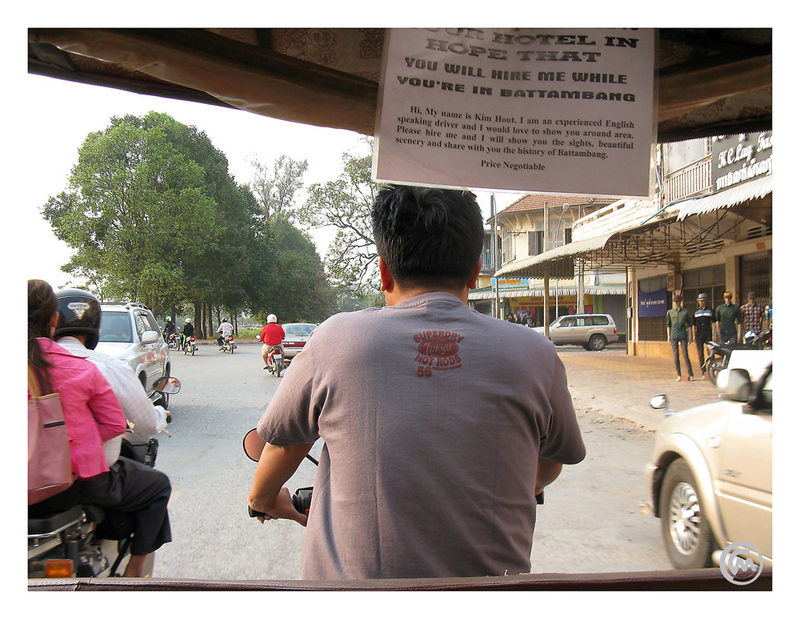 Kim Hout, our designated Tuk-Tuk driver, rescued us from the melee of pushing, bawling drivers and plonked us, baggage and all, in the sanctity of his neatly covered, sparklingly clean Tuk-Tuk. In Battambang, Cambodia. It seemed like a good idea to travel to Battambang from Phnom Penh by local bus, after all, it was cheap ($7) and our bussing experiences in Vietnam had been positive. Little did we know. Battambang, or Bah dembong, is the capital of Battambang province and is tucked away in the north west corner of Cambodia. It is, according to the guidebooks, well known as the leading rice-producing region of Cambodia. On Sothearos Boulevard, near Sisowath Quay, is the Royal Palace and Silver Pagoda. Ornate, gilded and with classic Khmer roof structures (I’m told), it is a striking contrast to the stark, austere monuments to the Khmer Rouge atrocities and bears a resemblance to its counterpart in Bangkok. 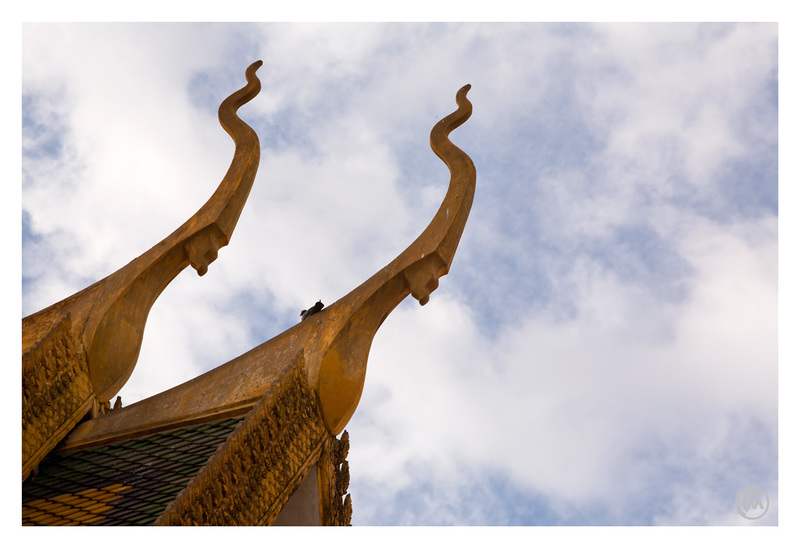 No visit to Cambodia would be complete without a visit to, and appreciation of, the Killing Fields and Genocide Museum (aka S-21) in Phnom Penh. 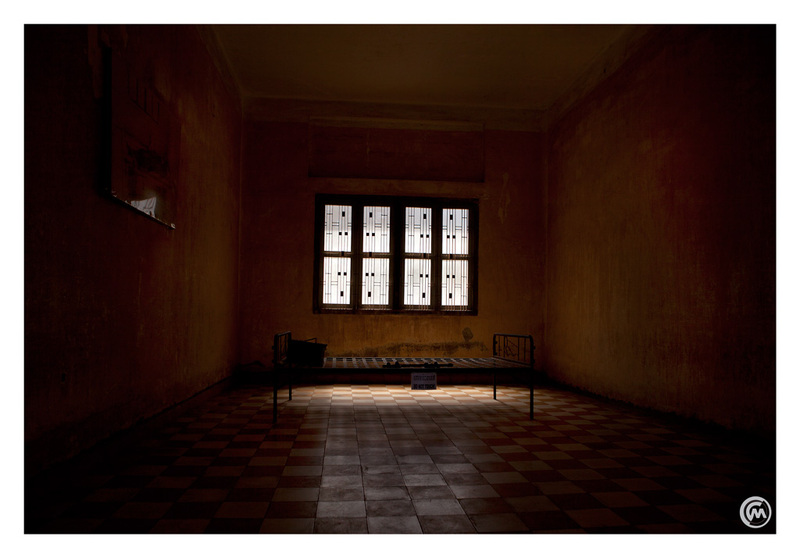 It may seem unnecessary to do so, maybe even morbid, but as I was to find out it really gave me an appreciation of, and empathy for, the people and their spirit here in Cambodia. 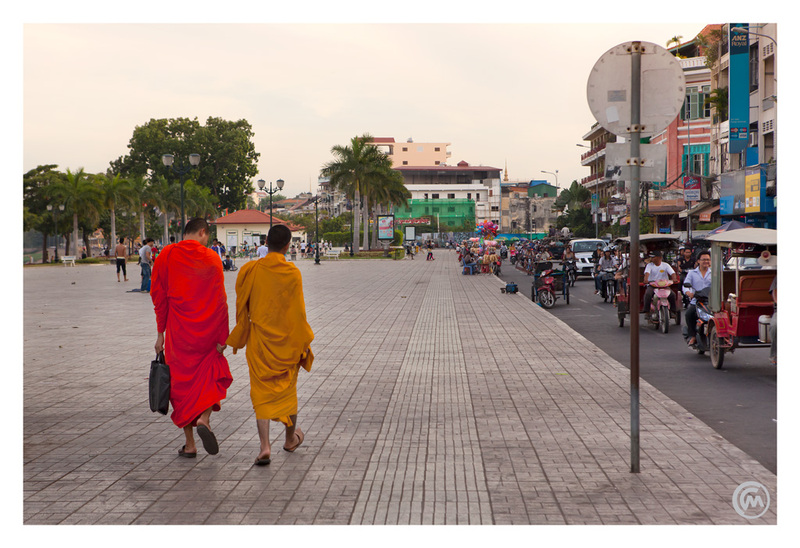 Once known as the Pearl of Asia, today’s Phnom Penh is vibrant. A city filled with young people embracing a modern lifestyle. They’re slick, chic and technologically up-to-date. Mobile phones are de riguer. They have smart buzz bikes and dress beautifully and trendily. Much new construction is afoot – new malls, high-rise apartment blocks … the Pearl of Asia resurrects. 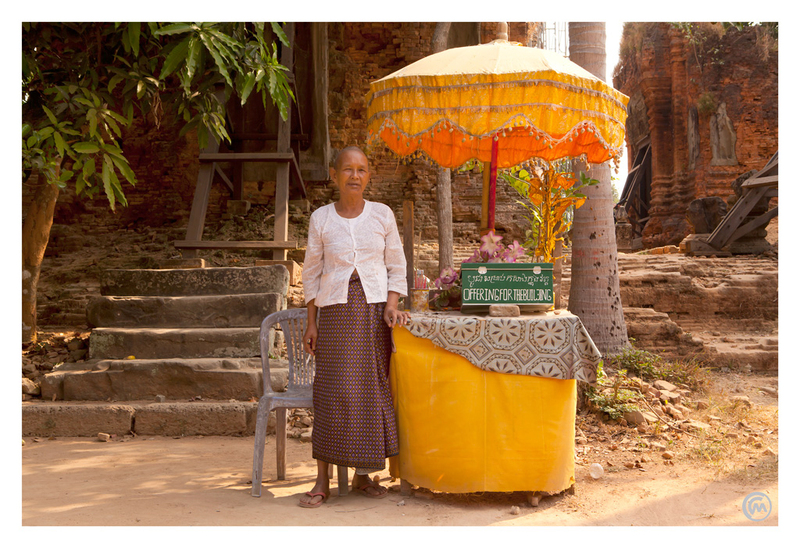 Onward to Cambodia – Chau Doc to Phnom Penh, more Mekong Meanderings. 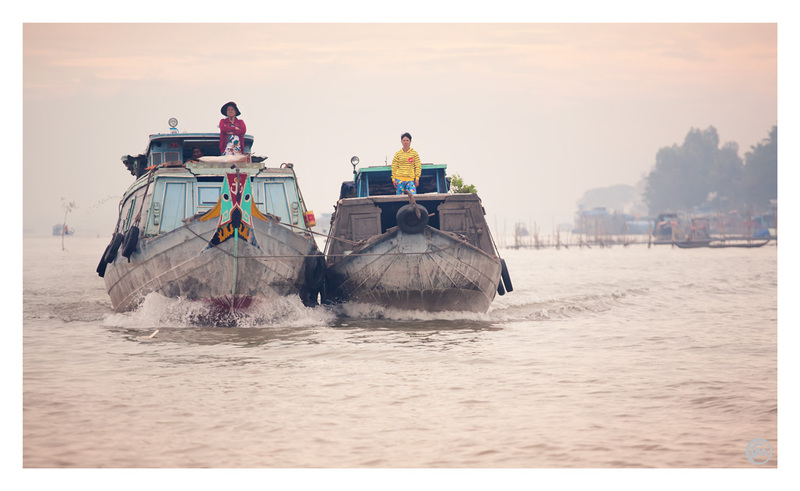 There are two ferry options when leaving Chau Doc for Phnom Penh. There’s the “slow boat” which takes eight hours and the “fast boat” taking five. Of course, these time frames are approximations and either boat generally takes longer than the marketed time. We choose the “fast boat” in case the other ends up in China.